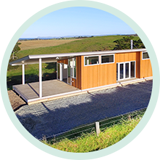 We acknowledge that building or renovating a home is a big investment and a personal experience. 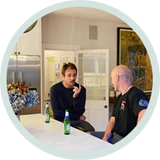 We pride ourselves on our ability to build both great homes and great relationships and we’ll work closely with you from concept to completion. Building or renovating with us will be a journey you remember, for all the right reasons. ​To help you visualise the process, we’ve broken it down into a few simple steps. ​The first step is to get in touch with us to arrange a time for your free, no-obligation meeting. 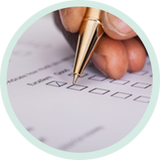 We will send you a quick questionnaire to complete and will discuss your answers with you when we meet. Our director, Toby, will be there on-site to chat through your ideas. If you’re not sure where to start, we can recommend a reputable architect and work together as a team to craft a plan that suits your needs and budget. Once the plan is complete, our trusted subcontractors and quantity surveyor can provide you with an initial cost estimate. Once you’ve accepted the estimate, your architect can lodge your plans with the local building authorities. 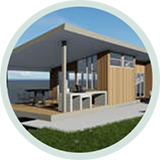 ​After receiving the final consented plans, we will provide you with a final quote or estimate. At this point you will be able to choose between a ‘Fixed Price’ or a ‘Cost Plus Margin’ pricing plan. For more information on these plans, please see our FAQs section, or contact our team. 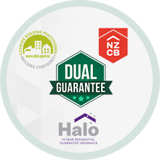 ​At this stage, we will present you and your family with a comprehensive contract alongside a 10 year Halo Guarantee and our very own Craft Homes Guarantee to ensure your peace of mind. 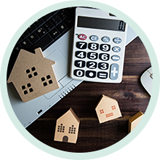 ​Before you and your family move into your new home, we will organise a final inspection with the local building authority and will help you to obtain your Code of Compliance to give you independent assurance that your home has been built to the highest standard. ​You and your family are now proud owners of a sustainable new home. Enjoy!